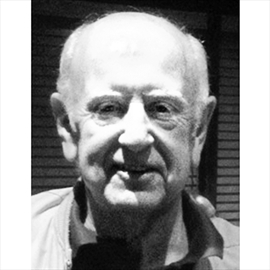 BYRNE, Mike Passed away following a brief illness on Friday, April 12, 2019 at the Hamilton General Hospital at the age of 78. Loving husband to Marlene of 53 years. Dear father of Mike (Jennifer). He will be fondly remembered by his grandchildren Liam and Michaela. Dear brother-in- law to John, Jean and Gwen. He is survived by his many nieces, nephews and cousins. Mike was employed at Stelco, Courtice Steel (Gerdau) as a Roll Turner. A special thank you to all the staff of the Hamilton General ICU. Cremation has taken place. The family welcomes friends to a gathering in Mike's memory at their home, (15 Weir St. South, Hamilton), on Thursday, April 18th from 4-8 p.m. In lieu of flowers donations to the Heart & Stroke Foundation would be appreciated. Arrangements with the L.G. Wallace Funeral Home (905-544-1147).